Things seem to be going from bad to worse for Iowans when it comes to health care. Recent health care news has left many frustrated. Here is some information about where things stand right now. 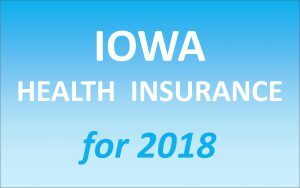 We hope this helps provide a little clarity about health care options available to Iowans. It’s imperative that the Legislature closely review a new report on Glenwood to ensure residents are safe. The Iowa Department of Human Services runs the facility and disclosed in January that seven residents were physically abused and 13 residents were subjected to verbal abuse or neglect. Senate Majority Leader Mike Gronstal will be featured on WOI-TV’s “This Week in Iowa” from 9 to 10 am Sunday, May 8, talking about the highlights and disappointments of the 2016 legislative session. Get complete details or watch online at www.weareiowa.com/news/this-week-in-iowa. Catch Iowa Press this weekend. Senate Majority Leader Mike Gronstal will discuss strategies for expanding Iowa’s middle class and more! The program airs May 6, 2016 7:30 pm on IPTV.1; May 7, 2016 8:30 am on WORLD.3; and May 8, 2016 12:00 pm on IPTV.1. Or watch it online at www.iptv.org.